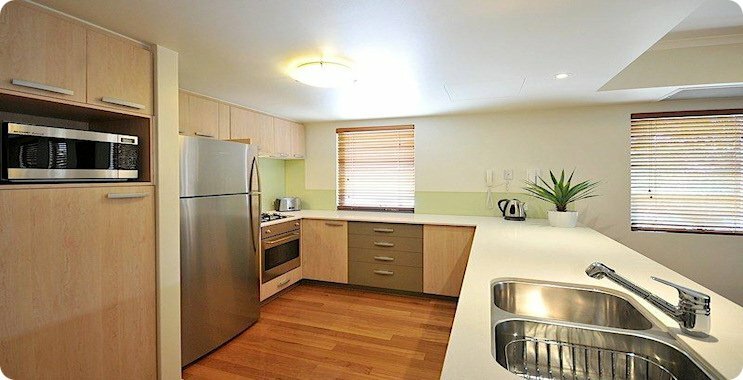 Exceptional, Large, Contemporary 1 Bed 1 Bath Luxury Apartment. 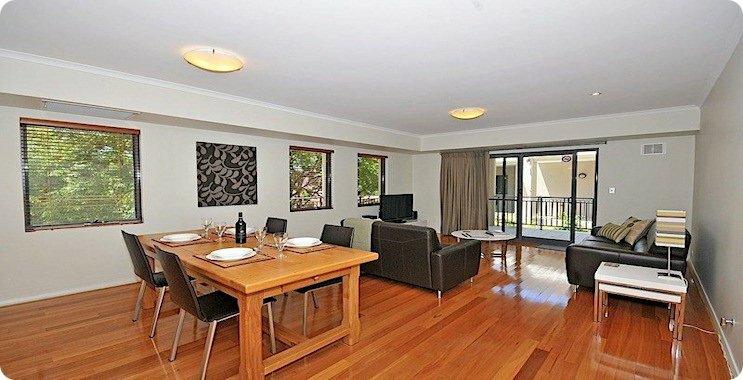 Located Right in the Centre of Fremantle's Historic West End, on a Quiet Side Street. 110 Sq metres of Luxury Accommodation. Fully Furnished & Equipped, Serviced Weekly. Top Quality White Linnen & Towels. Complementary Welcome Pack, Pod Coffee Machine, Tea & Coffee etc. 1 Secure Basement Car Parking Bay. 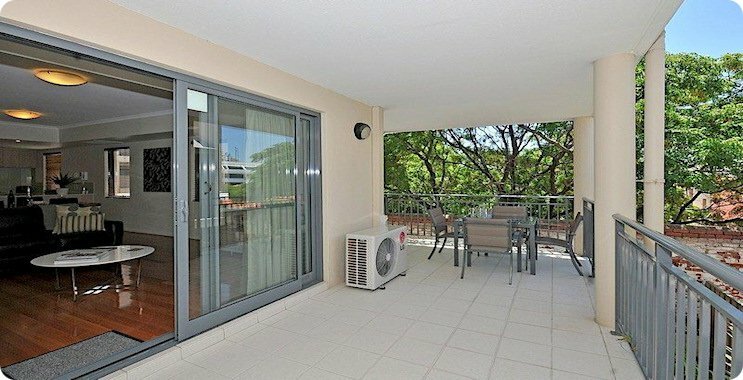 Spacious (25 SqM) Wrap Around Balcony. Complimentary WiFi Broadband & Local Calls. Plasma TV, DVD/CD Player with MP3 dock. Fully Equipped Laundry with Washing Machine & Clothes Dryer. 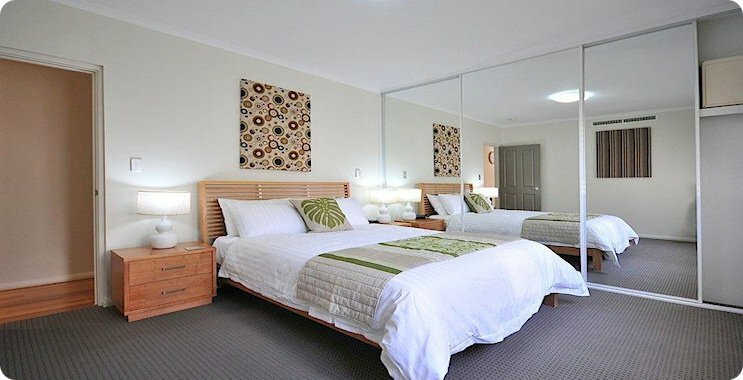 Booking Info: Minimum stay: 3 nights. Rates based on a 7 night stay. Discounts available for stays over 7 nights. Check in Details: Check in time 2.00pm or later. Check out Details: Check out time 10.00am. Payment Details: 50% deposit required on booking, the balance to be paid 1 month prior to arrival. Payments can be made via the secure section of our web site. Cancellation Policy: Cancellations made 28 days prior to arrival a full refund of monies paid less 15%. Cancellations made within 27 to 14 days, full refund less 50%. Cancellations made within 13 to 7 days of arrival full refund of monies paid less 60%. Cancellations made within 6 days no refund unless accommodation re-booked.